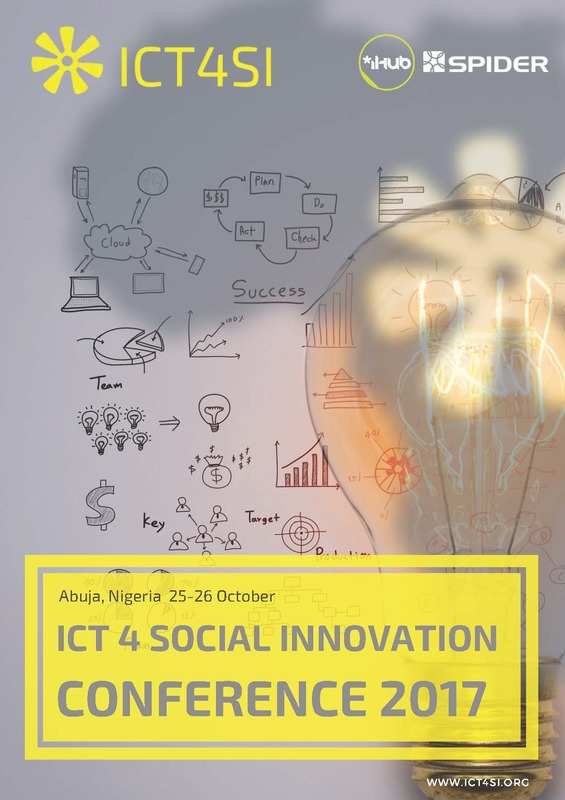 SPIDER, iHub, MSH Idea Lab Nigeria and AfriLabs welcome you to the third ICT4SI conference. This year’s conference will take place on October 26th 2017 at the Transcop Hotel, Abuja Nigeria. The focus for this year’s conference is plugging in solutions to action national and regional development. The ICT4SI network has members across Africa with representatives from the African telecom industry, public administration, civil society organisations, researchers and skilled technical professionals that join forces to affect change in our communities across the African continent.The ICT4Social Innovation Network (ICT4SI) and Annual Conference is a dynamic gathering of people who make things happen.